My mind’s ability to find peace under pressure in the big mountains didn’t happen over night; it has taken me the past 8 years to fine tune, and it’s still a work in progress. Testing my limits in the winter, cross-training during the summer, and competing in triathlons have all been huge parts in building a stronger mind. Prior to focusing my career in the back country in 2010, I spent a handful of seasons chasing the slopestyle contest circuit with only a few podiums to show for my effort. My downfall in these contests; My mental game. However, in April of 2008, I was given the opportunity to go on a film trip in Valdez Alaska with two fellow female iconic snowboarders, Leanne Pelosi and Hana Beaman. Though this initial trip to Alaska was terrifying, overwhelming, and took me completely out of my element of riding park; it also lit a fire deep in my soul to learn more about managing fear and riding big mountains. Fast forward, 8 years, and I found myself back in Alaska, with a sound and confident mind (for the most part), which made it way easier to pick and choose lines in those huge mountains. So, what changed from 2008 then to now? I credit the time I have spent challenging myself to step out of my comfort zone with cross-training in the mountains in the off-season and participating in triathlons. As a back country snowboarder, I stay fit during the winter by hiking, splitboarding, and riding mountains, but to stay in shape during the summer triathlons have become a great motivator for me for cross-training: The date of the event gives me something to work towards, each component of the race; swimming, biking, and running, gives me an extra push to get out in nature and embrace all that the Sierra have to offer. 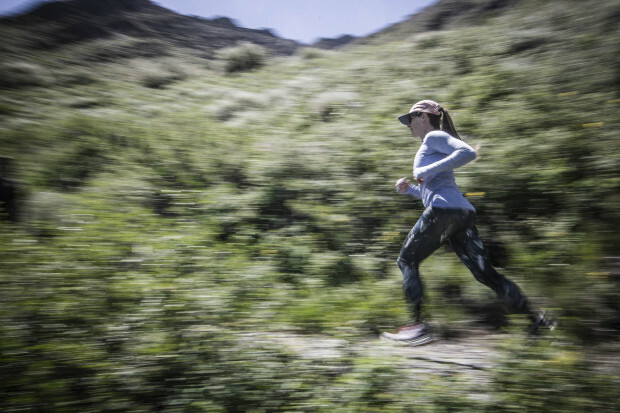 Plus, doing one of these races each summer pushes me to becoming a more well-rounded athlete— by balancing my endurance and mental strength by doing three activities back-to-back. Right now, I’m training for what will be the longest triathlon I’ve ever done: the Olympic distance at the June Lake Triathlon. That means I will be doing a 1-mile swim, 26-mile bike ride, followed up immediately by a 7-mile run. Individually, all of that is manageable for me but linking them all together is what makes this event exciting and a real mental challenge. The most difficult part of the triathlon for me will be the swimming: even though it’s in beautiful June Lake, swimming in the open water for 30-40 minutes at a time is a whole different game than being in a pool. Thankfully the water is near 65 degrees Fahrenheit and I will be in a wetsuit, but this is the activity I do the least. Therefore, it takes the most effort and focus. Breathing slowly and calming my mind down in a meditative sequence in the lake is an unusually perfect parallel to standing on top of a mountain about to drop into a big mountain line. Harnessing my mental strength and being present is all that keeps me from panicking. Finding ways to push myself year-round makes me feel balanced. Preparing for this triathlon has reminded me that no matter what type of cross-training I am doing there’s always room for growth, physically and mentally. Whether it’s snowboarding, swimming, biking, running, or rock climbing being able to smile at new opportunities that force me past my comfort zone has helped mold my mind into a stronger tool for managing the mountains during the winter. 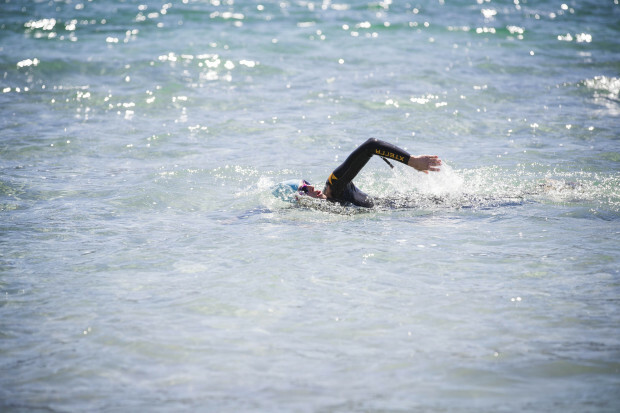 If you’re interested in trying a triathlon, head over to LIV to learn how you can get started with your first race.